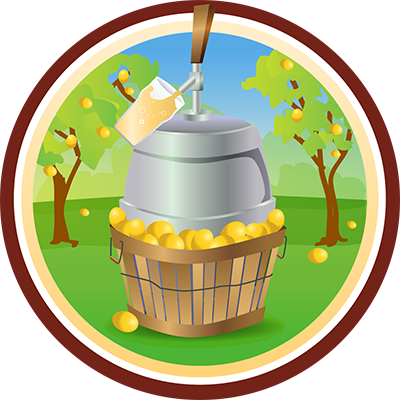 There was only ever one brewery that I would want to end the Pucker Up badge with on Untappd; Cantillon. This however was not planned, I had no idea when I cracked into this beer tonight that I would get this badge. It's worked out perfectly however! This beer sounds like a really interesting one on paper. It is not your traditional Gueuze, a blend of both young and aged lambic beer, but one made from just 2 year old lambic. It is then dry hopped in the cask for three weeks with Hallertau hops. I'm really fascinated to see what this beer tastes like! When this beer poured I was quite surprised by it's appearance. Unlike many lambics the body of the beer is a very clear golden colour. The head in the wide rimmed Cantillon glass was only a finger and a half high but it had amazing retention, at no point was I lift without at least a film across the top of my beer, and it laced the glass very well. It's a very good looking beer! Onto the nose and unsurprisingly the most dominant aroma is that Belgian funk that beer lovers around the world either loathe or adore. Cantillon's Cuvee Saint-Gilloise also has a really interesting bitter grassy hop element to the nose. It's relatively light but does cut through the funk a little. 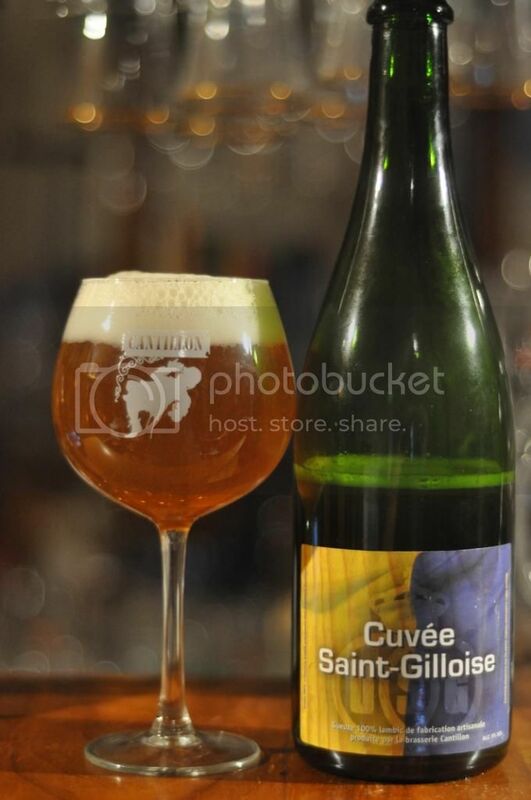 Cuvee Saint-Gilloise is not a hugely tart Gueuze. There is plenty of funk and significantly more citrus than I had expected. I am picking up elements of the wood that this beer has been aged in, although slight. The hop bitterness, again, is not intense although is there and adds an extra dimension to a relatively complex beer. While certainly not my favourite Cantillon beer of all-time; Cuvee Saint-Gilloise is a magnificent example of a sour beer. The hop element in this nontraditional Gueuze really adds an element that is unusual to the style. My Untappd sour journey, in a badge sense anyway, may have ended but my journey in sours is only just beginning. I'm hoping to visit the Cantillon brewery next year but we'll have to see. Anyway if you're interested in Gueuze give Cuvee Saint-Gilloise a go, it's an interesting take on the style.